The G.O.C. London Division passed slowly down the ranks of a great body of men drawn up on the Horse Guards Whitehall. It must have been a novel inspection for one even of his long military experience; for here, he knew, were men forgathered from almost every part of the globe, men whose ages ranged from 25 to 50, and more; yet all, irrespective of their age, destined for active service overseas. Some of these men attired in civilian clothes, noticeably of Colonial cut and style; the rest, however, in parade kit of a picturesque, not to say strikingly unorthodox pattern, comprising broad Stetson hat, brown silk neckerchief, blue shirt-tunic emblazoned with shoulder chains, cord breeches, belted and holstered, and spurred riding boots. Campaign medals glittered on the breasts of a lot of these men, before many of whom the General passed with either a nod of recognition of their decorations, or to exchange a few words with the wearers of them. Slowly he passed along; until at the whispered suggestion of the unit Commander, he stopped squarely opposite an unassuming looking, well set-up, middle-aged man in civilian rig. Introduced, the General instantly shook his hand and stayed to chat with him for several minutes, with the Staff gathered round to listen. And that was way back in February, 1915. The parade referred to was a muster of several hundred members of the Legion of Frontiersmen. The middle-aged man with whom the G.O.C. shook hands and chatted was Frontiersman F.C.Selous. It was Legion Commandant. Colonel “Jerry” Driscoll (Driscoll o’ the fighting scouts) who, shortly afterwards, introduce me to Selous, thereby achieving for me a long hoped-for ambition. By then Selous had been promoted Lieutenant, a rank he accepted with characteristic reluctance, averring that there were many in the Legion better qualified than he for commissioned status. He would have been content to remain a simple private, just so long as he once more was in his country’s service. For up till a week before the parade I mention, he had offered his services to the War Office over and over again, only to be rejected each time as too old for military duties in the field. In vain, it appears, had he begged the officials to consider his usefulness, no matter in what capacity, on any of the fighting fronts of Africa. But all in vain. To the official mind (at that time) the full scale of his unrivalled knowledge and experience of Africa, East, West, Central and South, was inexorably counter-weighed by his age. Selous, however, had been a member of the Legion of Frontiersmen almost from its inception. So when, in that month of February, the remnant of the Legion was accepted for service, after hundreds of the organisation, tired of waiting for official recognition, had drifted into the new armies – Selous automatically enrolled with it, age objection no longer held, for the unit had been accepted en bloc, subject only to its members passing medical examination. And Selous, as all knew him anticipated, passed as one of the fittest men. He was then 63. To any student of human nature, to anyone who has knocked about the world, and learned thereby to judge men, Selous, at very first glance, stood revealed for what he was, a man. His serene grey eyes mirrored a nature at once gentle, kindly, lovable. One took to him instantly, and felt the urge to know him, to go on knowing him, and, perhaps, become in time esteemed by him. One just felt the better for knowing him, for being with him if only for a little while. That was how I felt about him as, I know, did others who claimed his acquaintance. There was little opportunity to talk with Selous after my introduction to him in Legion headquarters, in Adam Street, Strand. For he was surrounded by old friends, to whose talk he was listening quietly, this unassuming man with the pleasant, kindly smile. He left after a while on some military errand and the room seemed empty without him. Not that he had dominated it. One was just subtly, pleasantly aware of his presence. That was the magnetism of him; of Selous the man – of his very name in fact. If this is the impression Selous made on Tobin, it is understandable how in East Africa “…the word that their great hero had been killed soon spread round the Frontiersmen and they were so maddened that they managed to take the strong German positions and drive the enemy back”. 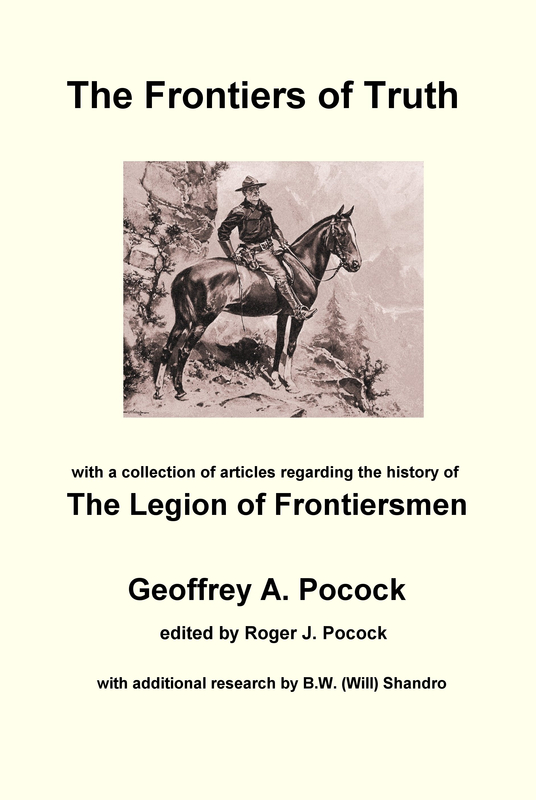 (One Hundred Years of the Legion of Frontiersmen, p.92). It is quite likely that this resulted in the Royal Fusiliers being awarded the Battle Honour “Behobeho”. Driscoll already had his full complement of officers so could not find a place for Tobin who was commissioned into Winston Churchill’s old regiment, the Queen’s Own Oxfordshire Hussars. We hope to tell you more about Bill Tobin in the future. This entry was posted in Frontiersmen, History, Legion of Frontiersmen, Surprising Snippets and tagged Selous, Vahd W Tobin. Bookmark the permalink.